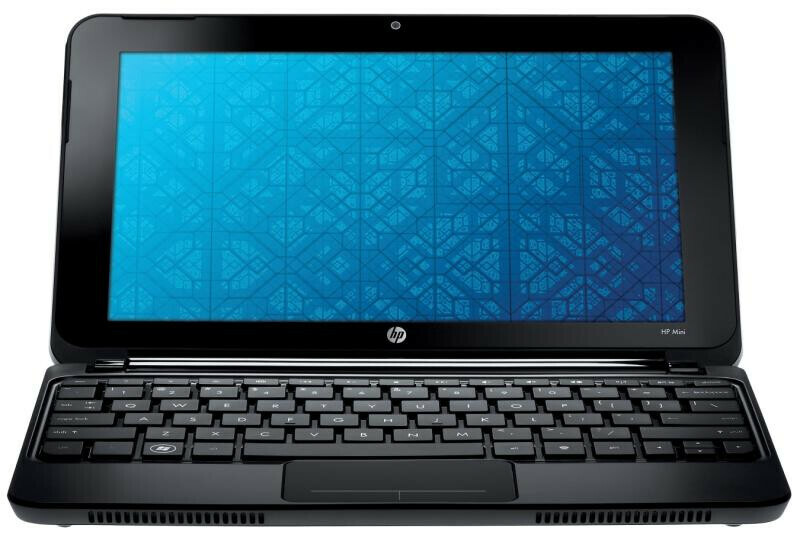 HP has been a visible figure in Verizon's lineup thanks to their reasonably priced selection of netbooks that operates on Verizon's network for a complete mobile internet solution. Following suit like other previous models, Verizon has announced the availability of the HP Mini 210-1076NR netbook that sports an attractive $149.99 price after mail-in-rebates with your signature on a 2-year agreement. The black crystal colored netbook of course houses a built-in 3G Mobile Broadband modem that'll keep it connected to the internet in just about any location you find yourself in. In addition, it features a 10.1” LED display, 1.66GHz Intel Atom N450 processor, 1GB RAM, 250GB hard drive, 5-in-1 digital media reader, and stereo speakers. All of this is packed into its 2.99lbs light weight form factor that equally is accented with a decent 8.75 hours of battery life. watch some Apple jag-off post..."just get an iPad".